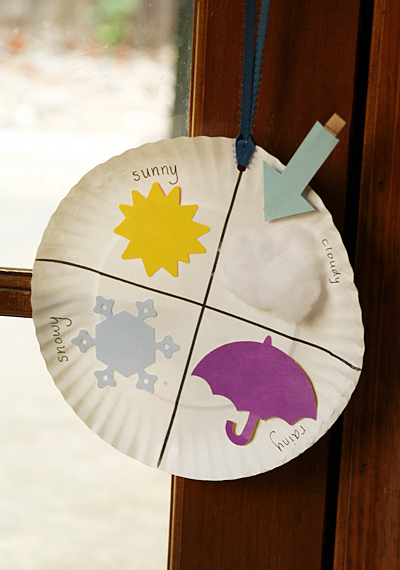 Your little weather watchers can make these weather charts to map out the current weather conditions. Simple enough for their little hands, all it takes is a paper plate and some die cut foam shapes. Add a clothespin arrow and they’re ready to predict the weather!